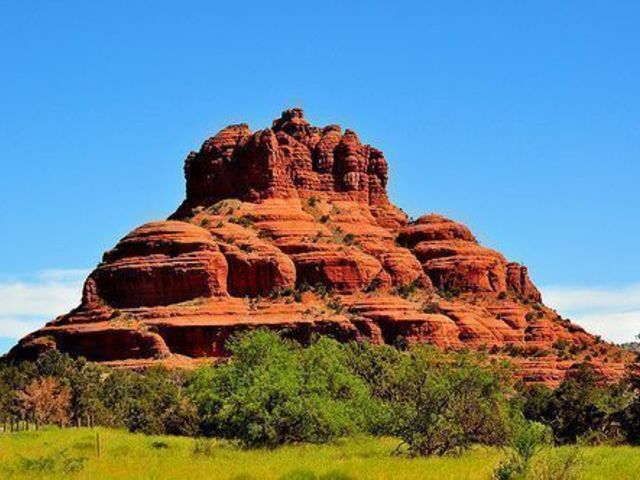 When considering purchasing real estate in Sedona AZ, it is important to note one of the most enjoyable aspects, the diversity of its population. 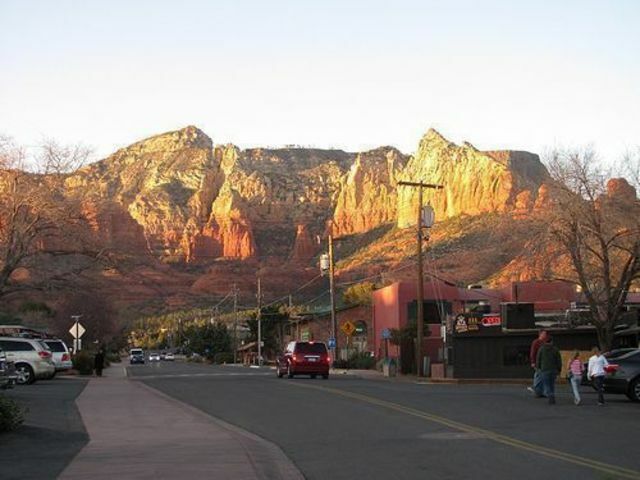 It’s a rather cosmopolitan place for a town of 17,000 (in the Greater Sedona area), with people from all over the nation and the world coming to buy homes here. 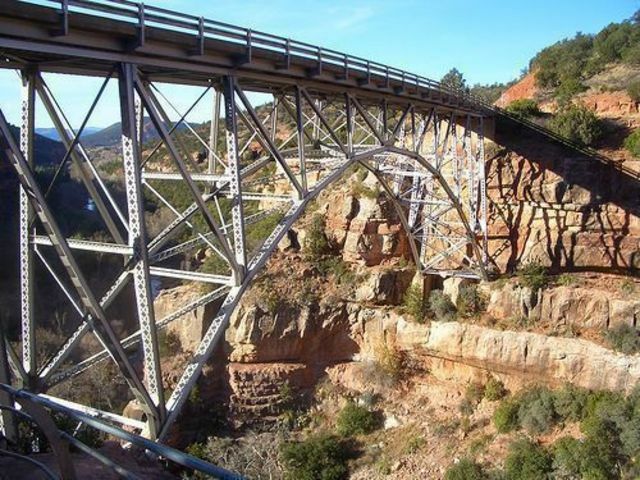 The Sedona lifestyle has something to offer pretty much everyone. It’s something of an affluent spot, home to a reputed thousand or so millionaires. 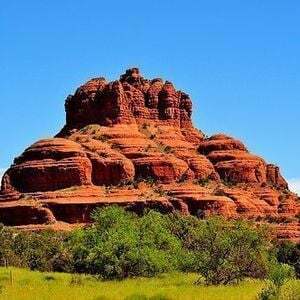 A number of entertainment celebrities have purchased real estate in Sedona and enjoy a quiet and inconspicuous lifestyle among the red rocks. Artists and art galleries are even more abundant, amazingly, than real estate agents. 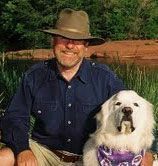 For a number of years Sedona real estate has been exceptionally popular with retirees who have made up a majority of the population. That demographic has been changing rapidly in the past decade as more younger families have been moving in. For those coming from cooler areas, purchasing real estate in Sedona AZ brings the soothing comfort of a temperate climate. 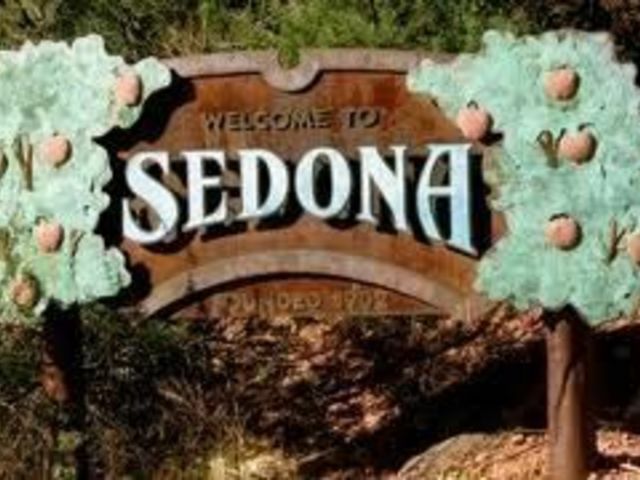 The cliché is that Sedona enjoys four mild seasons. The cliché happens to be true and for most of us who grew up in colder parts of the country, the climate is ideal. Never very cold nor unbearably hot. The popular image of Arizona is Phoenix and the Sonoran Desert. That image is accurate for much of the state, but overlooks the third of Arizona that is forested alpine high country. 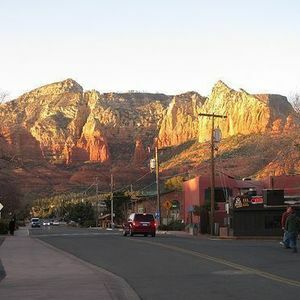 Sedona’s climate can be better described as semi-arid than desert. In Arizona, altitude is the primary determiner of climate. Phoenix, a hundred miles or so to the south, is well below 2,000 feet. Flagstaff, thirty-five miles north, is 7,000 feet high and has a climate much like that of Colorado’s Front Range with aspen and pines. At 4,000-4,500 feet, we’re a midway point both in altitude and climate. Generally we seem to be about 12 to 15 degrees cooler than Phoenix and probably 12-15 degrees or so warmer than Flagstaff. The official average high temperature in our coldest month, January, is 56 degrees with 31 as the mean low temperature. With relatively low humidity, that usually translates into sweater weather during the day and light jacket at night. This past January, we had several stretches of days in the 60s balanced with two or three snowy days. Our warmest month is July with an average high of 96 and low of 65. It does creep into the low 100s when you see Phoenix on the news at 122, but 104 in Arizona’s low humidity is considerably more comfortable than 94 in New York. Plus, notice the 30 degree drop in temperature at night. Even on the hottest days, the nights are relatively cool. The rainfall we get (18 inches per year) supports a nice blend of vegetation from brightly flowering yucca to pinion pines and juniper trees, to cottonwood and sycamores by the river. Don’t expect to see the big saguaro cactus up here, that’s classic Sonoran Desert which starts about half way to Phoenix. Most Sedonans are justifiably proud of our excellent public schools, admirably supplemented by Montessori and Waldorf charter schools (sort of public private schools). 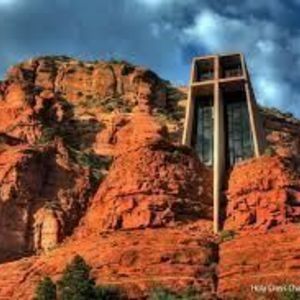 Sedona is also blessed with a number of private schools, including the world renowned boarding school, Verde Valley School. Verde Valley Regional Economic Development Council and Sedona On-Line have links to both public and private schools. going for a hike is a simple matter of walking out the door for most of us. A few minutes in a car will get you to some of the most varied and scenic trails in the world and that’s not an exaggeration. In a twenty minute hike from my home in the Village of Oak Creek, I can be sitting on top of my favorite “secret” rock formation surveying an incredible panoramic scene without a person in sight, even on a busy weekend. Twenty minutes by car will get me to the trail head of my favorite wet forest trek, the West Fork of Oak Creek or to the breathtakingly beautiful and sacred Boynton Canyon. For quick respite to bask in the sun, listen to the sounds of the river, and visit an ancient Indian ruin, a short bike or car ride will take us to picture post card, Red Rock Crossing. Trout Fishing in Oak Creek is popular and there are number of lakes within considerably less than an hour’s drive of town. 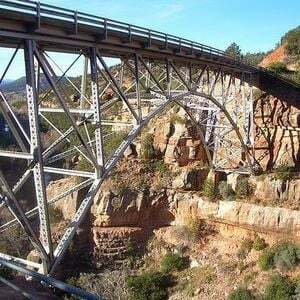 The slower moving Verde River also offers boating and a variety of fishing. The plethora of trails and sandstone creek beds make the area a mountain biker’s heaven. There are at least three first rate bike shops who will rent you bikes and supply you with maps and advice. For those who enjoy exploring the back country on four wheels, there are a number of jeep tour companies that take you on scenic, if bone jarring, rides in restricted areas as well as to a number of ancient ruins. Early morning balloon rides provide a spectacularly different perspective of the red rocks as do helicopter and single engine plane rides. Living here has introduced me to the joys of bird watching whether I’m out hiking or just looking out the window as I work at my computer. At the moment I am distracted a bit by a covey of goofy Gambel Quail, a brilliant scarlet Cardinal, and a couple of Curved-billed Thrashers chomping seeds on our deck. With over 500 species, Arizona trails only Texas and California as a top birding region in North America. Golfers can play year-round on the three courses in the Village of Oak Creek at Oak Creek Country Club, Canyon Mesa Country Club, and the newest, Sedona Golf Resort, billed as one of the top ten public course in the country. Relatively close to Sedona are the Beaver Creek Country Club in Lake Montezuma and the brand new Verde Santa Fe Country Club between Sedona and Cottonwood. The best golf in the area is clearly to be found at the new Seven Canyon Resort. It’s a private club with a very pricey initiation fee centered on a nationally renown Tom Weiskopf course. Check out our recently updated Golf page for more information. Tennis courts abound with a number of public courts, two racquet clubs, and the Enchantment Resort which originally started out as a Gardiner’s Tennis Ranch. Having moved here from Colorado, I was a bit condescending about the seemingly absurd idea of downhill skiing in Arizona. I was very pleasantly surprised by my first visit to the Snowbowl, an hour or so away near Flagstaff. Decent sized area, challenging runs, plenty of snow, and excellent conditions. The high country around us also provides plenty of opportunity for cross country skiing among the pines and aspen without having to contend with snowmobilers. The Native ruins near Sedona preserve remnants of two distinctive cultures that once flourished in the Verde Valley. The first permanent settlers here were the Hohokam (Pima for those who have gone). They were a skillful farming people who moved into the valley shortly after A.D. 600. They grew crops of corn, beans, squash and cotton and watered them by irrigation. They lived in one-room houses made of poles, sticks and mud, which they built on terraces overlooking their fields in the bottomlands. Another people also lived in this general area. They were the Sinagua, who inhabited the nearby foothills and the plateau beyond the valley. The Sinagua were pithouse dwellers and dry farmers, dependent on rain for their crops. They moved down into the valley about 1125, occupying land vacated by some of the Hohokam who migrated north to lands made fertile by the ashfall from the eruptions of Sunset Crater in the mid-1060s. The Sinagua were obviously daring builders, if not as skillful with masonry as their Anasazi contemporaries. The quality of the local rock may have had something to do with this. It is fairly soft and of a type that splits unevenly. Walls at Tuzigoot are massive but poorly balanced. Yet Montezuma Castle, which admittedly is well protected, was so securely built that it has stood for over 600 years and is one of the best preserved prehistoric structures in the Southwest. such as: Palatki and Hananki. Most people always think of hot air balloon rides as something dreamy that you only see in the movies before the hero proposes to the heroine. In Sedona that kind of romantic adventure is easy to come by with one of our local Balloon Adventure companies. 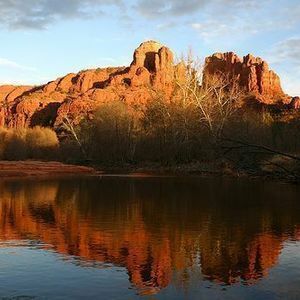 Sedona’s natural wonders and wildlife sightings will delight you as you float calmly with the air currents. The adventures start with an early morning drive to the launch site with the pilot and professional crew. The fun begins with the exciting inflation of the balloon, and before you know it, you’re soaring with the eagles and swooping down to skim the trees and spot local fauna. Watch the sunrise during your ascent. After a gentle lift-off, you’ll be gliding over the gorgeous red rock country. After a peaceful landing, you’ll be treated to a champagne picnic breakfast. Your pilot will tell you the exciting history of ballooning and present you with a commemorative certificate of your flight. Flight time is 1 to 2 hours depending on winds and the discretion of the pilot. A Sedona landmark since the 1970s, Tlaquepaque treats visitors and local residents alike to a very exceptional collection of Sedona galleries, shops and fine restaurants. Named for a picturesque suburb of Mexico’s Queen City, Guadalajara, Tlaquepaque’s construction began in 1971 with the creation of the wall along the highway. Soon artists and artisans, craftsmen and chefs were plying their art within its confines. Today, it’s boundaries enclose more than 40 shops featuring one-of-a-kind items that make a visit to Tlaquepaque incomparable. Integrated into its environment and true to its architectural sources, Tlaquepaque creates the impression that it has been here – in this place – for centuries. To preserve the integrity of the site, buildings were constructed around existing trees; where possible, methods of construction mirrored those of Mexican artisans and builders; tiles, statuary, lanterns, pots, doors, wrought-iron – even fountains – were largely imported piece by piece from Mexico. The result is a unique blend of architecture and nature, of the old with the new…and an ambience of special charm and quiet elegance. Located in the beautiful red-rock country of Northern Arizona, the Sedona Arts Center offers a full palette of artistic experiences for all ages. If you are looking for the perfect piece of art to enhance your home or as a gift for a loved one, please take time to browse in our Gallery Shop, featuring the work of over 120 local and regional artists. The rotating Exhibition Gallery features juried, invitational and members’ exhibits throughout the year. If you would like to perfect your art talents or try your hand at a new medium, our Nassan Gobran School of the Arts offers a wide variety of classes and Visiting Artists Workshops in visual and performing arts, including painting, drawing, sculpture, ceramics, acting and children’s classes. Whether you are an artist, art collector or art lover, the Sedona Arts Center is truly an enriching, inspiring and fun place to express your creativity and support the arts. If you are planning a visit to Sedona, you will want to make the Sedona Arts Center your first stop. The Sedona Arts Center is a not-for-profit organization whose mission is to provide arts education and establish an appreciation of the arts which will emphasize Sedona as an artistic community and facilitate artists’ development. A wide variety of first-rate offerings from music festivals, our annual Sedona International Film Festival, terrific local theater, and great art shows. 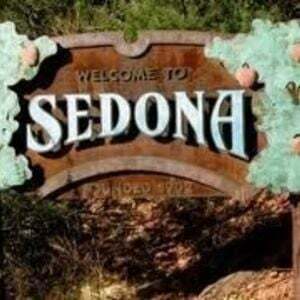 Check Gateway To Sedona, for current happenings. Over fifty. A wide variety from wonderful little ethnic places to haute cuisine by internationally known chefs. Mariposa – Latin Inspired Cuisine – Lisa Dahl’s newest offering, an iconic restaurant location and the best place to dine and enjoy the beautiful landscape of Sedona. The food is exceptional, she has truly raised the bar for the Sedona restaurant scene. René at Tlaquepaque – Chef Walter Paulson and Deborah Leatherwood have carried René Baudat’s tradition of classic continental cuisine and carried it to new heights by adding a number of exciting and innovative dishes. A wonderful place for an exquisite al fresco lunch or classy dinner. Executive Chef and Co-Owner Walter Paulson is a member of the Chaine des Rotisseurs, a gourmet food and wine organization dating back to 1248. Their goal is the advancement of fine food and exquisite dining. René at Tlaquepaque was given the honor of hosting the local Chaine des Rotisseurs Millennium Dinner. Voted by Sedona residents – “The Best Place to Celebrate a Special Occasion”. Many Sedonans seem to thrive on getting really worked up over local issues. Try a subscription to the, twice-weekly, Red Rock News if you’d like to keep your finger on what’s happening in town, who’s mad at whom, and the latest events and happenings. Incredibly diverse and deep-seated. 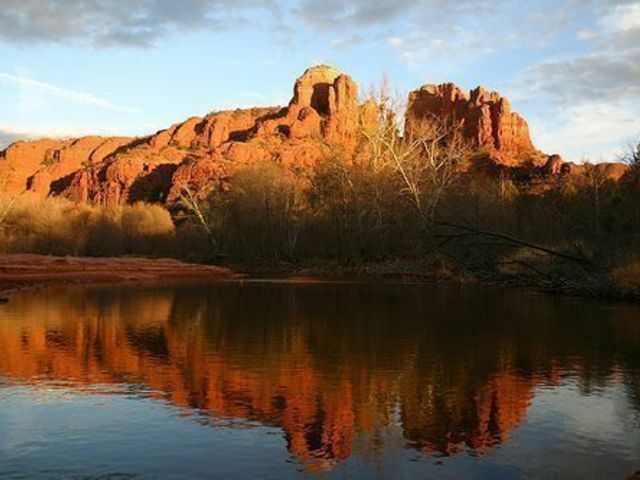 The sense of profound spirituality surrounding Sedona dates back to prehistory. 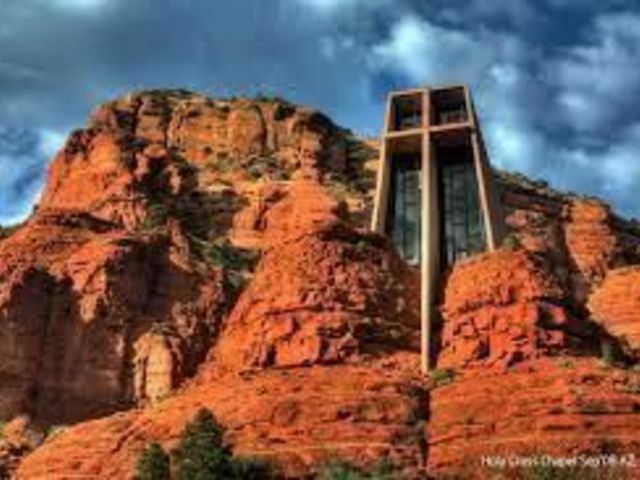 Sedona seems to have a larger number and greater variety of houses of worship than any place I have ever known. Christian Fundamentalists, Conservative Anglicans, Reformed Jews, Native Americans, Buddhists, and Goddess Devotees all seem to coexist amicably. Fortunately, religion is not a field of public wrangling. This link takes you the Dogs & Cats page where you will find some fun and useful information concerning pets.